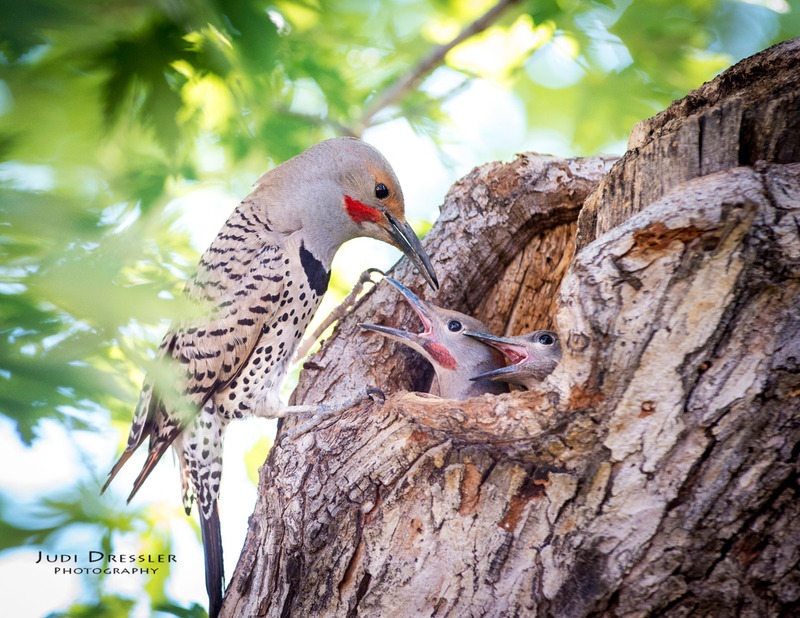 I was thrilled to be able to photograph this Northern Flicker nest! Mom and dad took turns flying in with food for the babies, which they fed at lightening speed. Often you could not see the babies’ heads when feeding took place, because the parent would put his or head way down into the tree cavity, but occasionally those little heads would pop out! Male and female northern flickers look the same except that the male has the red patch on his cheek. Photo taken the morning of July 4th, 2017, in a friend’s back yard.